I like to take a look at where I’ve been to evaluate where Im going. Technology is cyclical after all… wait no its not. That said I still like all the feels that come rushing back like a flood of nostalgia every time I get my hand on the tech I grew up with. I’m going to go back periodically and take a looking at the stuff that used to blow our hair back and get our minds rolling. Some of these device blew up and changed the world, some where ahead of their time and some just fell flat and became colossal failures. 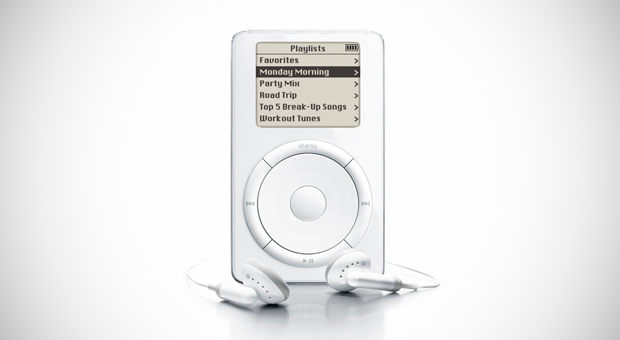 Today’s throwback is at the very center of our every day life, The original 1st generation iPod. 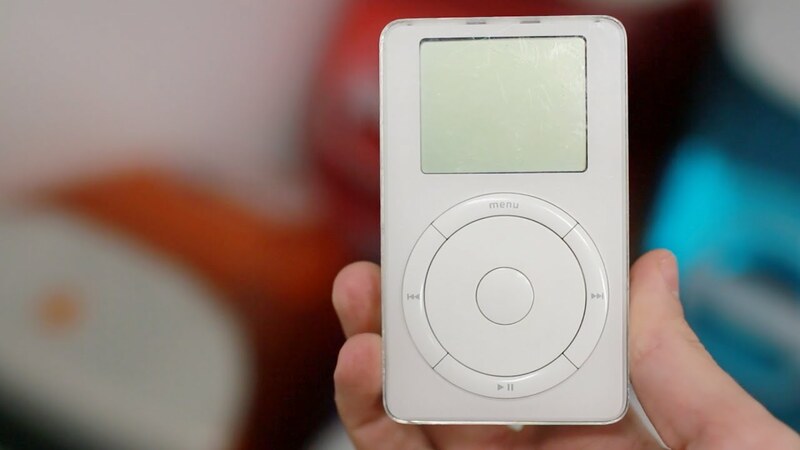 The iPod wasn’t the first MP3 player — there were a number of models from a number of companies before Apple unveiled what came to be one of its flagship products — but the iPod was the first truly great MP3 player. It didn’t have the most storage or the most features, but it did have a dead-simple user interface, terrific industrial design, and the simplicity and polish that define Apple products (it also has an interesting story about how it got its name). It featured a black and white LCD and the first click wheel, a mechanical scrolling interface that let users quickly and conveniently scroll through long lists of music. The click wheel also included easy access buttons for playing, pausing, rewinding, and fast forwarding through music content. 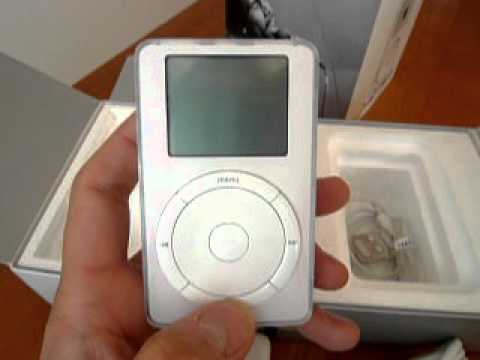 The first iPod’s battery lasted for up to 10 hours before needing to be recharged, and the device was priced at $399. The 1st generation iPod can be identified by its scroll wheel, surrounded by four buttons (from top, clockwise: menu, forward, play/pause, backwards), and its center button for selecting items. 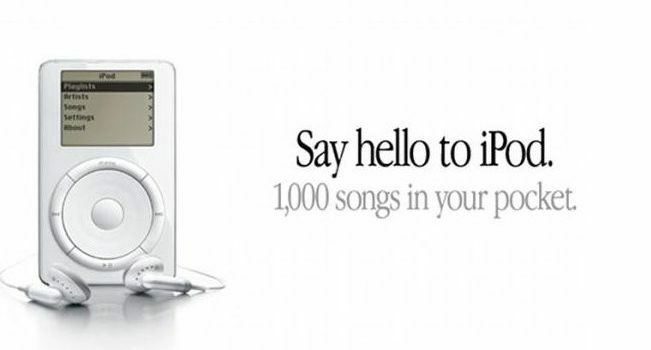 The first-generation iPod, which Apple advertised with the tagline “1,000 songs in your pocket,” was a rectangle-shaped device with a 5GB 1.8-inch hard drive capable of holding 1,000 songs. Nice this about this is its still functional and available. You can buy one on amazon new. Sadly the software and iTunes software cant be reverted so there is no really going to back to visit the original iPod. Just nice to play with the wheel for a bit. While it was not the first MP3 player, the original iPod was both smaller and easier to use than many of its competitors. As a result, it quickly attracted accolades and strong sales. The iTunes Store did not yet exist (it was introduced in 2003), so users had to add music to their iPods from CDs .Looking back to when the iPod was introduced (near the turn of the century! ), it’s hard to remember just how different the world of computing and portable devices was.
. At its introduction, the iPod was a Mac-only product. It required Mac OS 9 or Mac OS X 10.1. There was no Facebook, no Twitter, no apps, no iPhone, no Netflix. The world was a very different place.